Your iPhone (and iPad) automatically back up to iCloud by default, but local iTunes backups are still useful. You should create an iTunes backup when you’re switching to a new iPhone or installing iOS beta software on your current phone. Local iTunes backups are more complete and faster to restore than iCloud backups. iCloud backups are still useful because they happen wirelessly so they’ll always be up-to-date, but iTunes backups are ideal for a full restore operation. Launch iTunes to get started. If you have a Windows PC, you’ll need to download iTunes from either the Microsoft Store or from Apple’s website. if you have a Mac, iTunes is already installed. We used the Microsoft Store version for this process, and it worked perfectly. Connect your iPhone to your PC or Mac using the included Lightning-to-USB cable. This is the same cable you use to charge your phone. This same process works for iPads and iPod touches, too. After connecting your iPhone, click the “Continue” button in iTunes to allow access to your iPhone on your computer. Unlock your iPhone and you’ll see a “Trust This Computer” prompt. 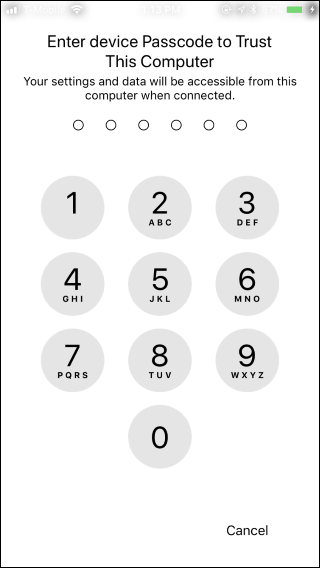 Tap the “Trust” button, and then enter your PIN. This gives your computer access to your iPhone’s data. If you’ve already synced your iPhone or iPad with iTunes, you won’t see these prompts and you can just continue. After you’ve allowed access to iTunes, you’ll see a small phone icon on the toolbar, near the top left corner of the window. Click it. iTunes should automatically focus the “Summary” pane in the left sidebar. Scroll down and look for the “Backups” section here. Before continuing, you should ensure your iPhone backups are encrypted. This makes sure they’re password-protected so someone will need the password you provide to access them and the data they contain. Encrypted backups can also contain account passwords, Apple Health information, and HomeKit data. Unencrypted backups won’t contain all the data. 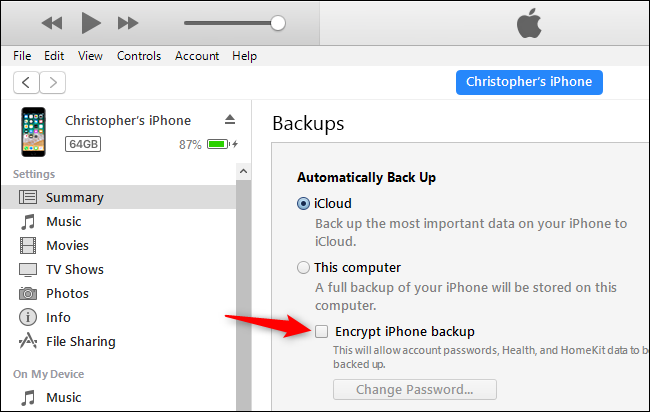 Enable the “Encrypt iPhone backup” checkbox under Backups to activate encrypted backups. Provide a password when prompted. Make sure you remember this password. If you forget it, you won’t be able to restore any iTunes backups encrypted with the password. If you previously set a password and forgot it, you can click the “Change Password” button here to set a new one that iTunes will use for newly created backups. But you can’t restore any of your old backups without the password you used to create them. iTunes automatically begins creating a backup after you provide a password. Wait for the process to finish before disconnecting your phone. It should take just a few minutes. Look under “Latest backups” on this pane and you’ll see when the most recent backups have taken place. 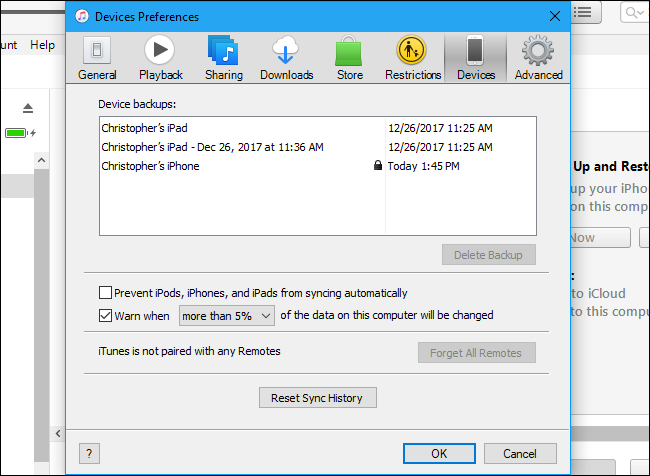 Any backup that says it’s taken place “to this computer” is an iTunes backup on your PC or Mac. To create new iTunes backups in the future, just click the “Back Up Now” button while your iPhone is connected to your computer via its cable. iTunes will create a backup and show you the progress in the status display area at the top of the window. 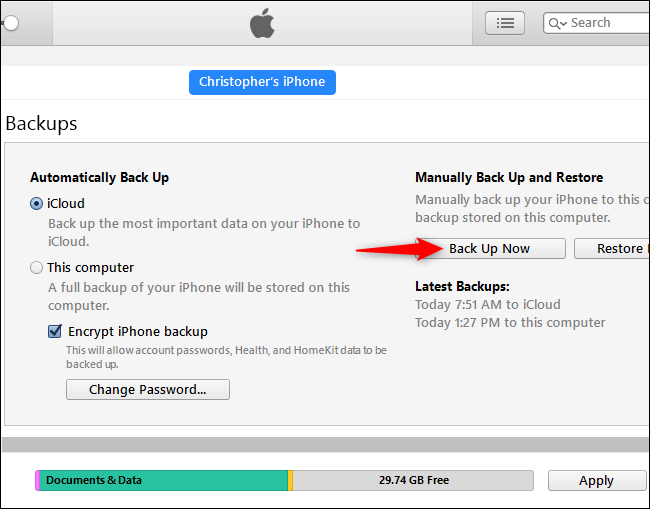 You can and should leave “iCloud” selected as your default backup option under the “Automatically Back Up” section. You can still back up to iTunes by clicking the “Back Up Now” button yourself. 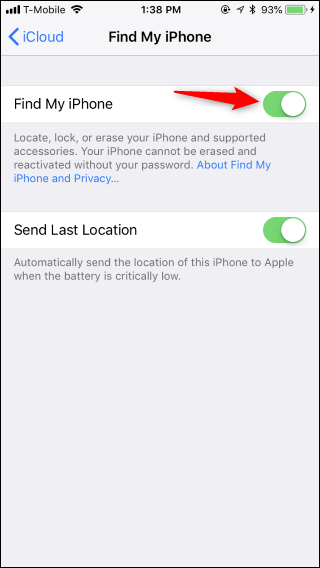 You must disable Find My iPhone before restoring a backup. If you have an iPad, you’ll need to disable Find My iPad instead. To do so, head to Settings on your iPhone, and then tap your name at the top of the settings screen. From here, tap iCloud > Find My iPhone. 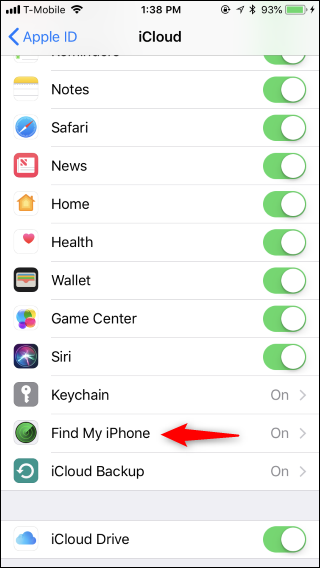 Tap the “Find My iPhone” slider, and then enter your Apple ID password to turn it off. To restore an iTunes backup, connect your iPhone to your computer using its included cable and launch iTunes. 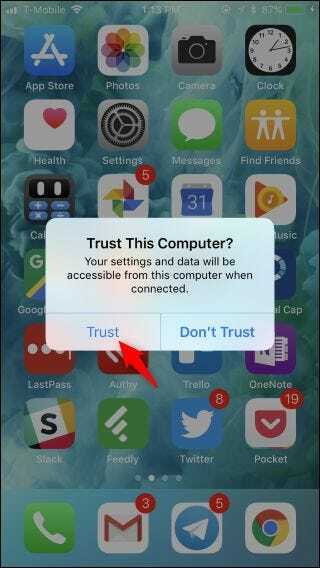 Tap the “Trust” button on your iPhone to trust your computer if it’s not already trusted. After your phone is connected to iTunes, click the little phone icon on the toolbar, and locate the Backups section under Summary. Click the “Restore Backup” button to restore an iTunes backup from your computer to your phone. Remember, this backup is stored locally on your PC or Mac. You must restore the backup on the same computer you created it. iTunes will prompt you to choose which backup you want to restore. By default, it selects the most recent backup. Older backups have date information in their names so you know which is which. Click “Restore” to restore the backup to your phone. Don’t disconnect your phone from your computer until the restore process completes. You can view the backups saved in iTunes by clicking Edit > Preferences on a PC or iTunes > Preferences on a Mac. Click the “Devices” icon in the Preferences window. You’ll see a list of backups stored locally, and you can delete old backups from here if you want to free up space. You can find these backups stored on your PC or Mac’s drive if you want to back them up or move them to a new PC. 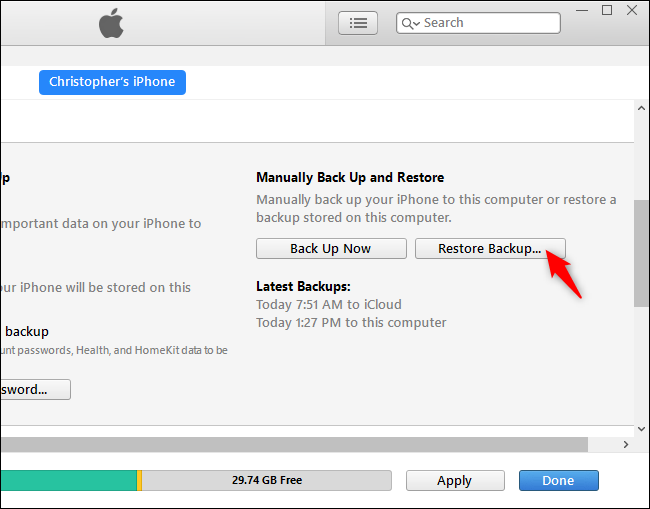 You can restore the backup on either your current phone or a new one. For example, if you’re getting a new iPhone, you can restore your old phone’s to the new iPhone—even if it’s a newer model.